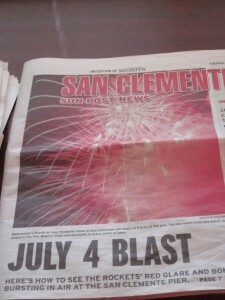 …right along with the 4th of July fireworks. 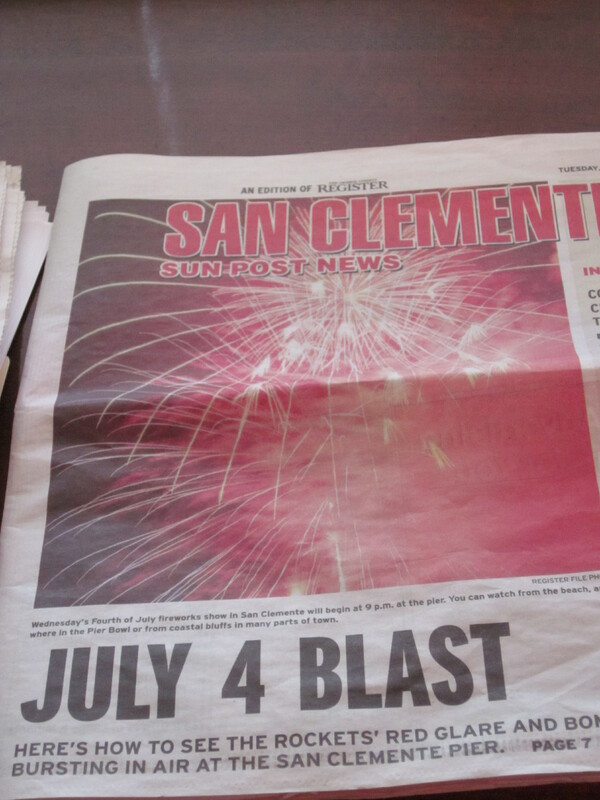 The Orange County Register’s San Clemente newspaper, the San Clemente Sun Post ran an article on the San Clemente book club meeting and The Death of Rafael. This entry was written by admiNWD, posted on July 10, 2012 at 7:28 pm, filed under Uncategorized. Post a comment or leave a trackback: Trackback URL. 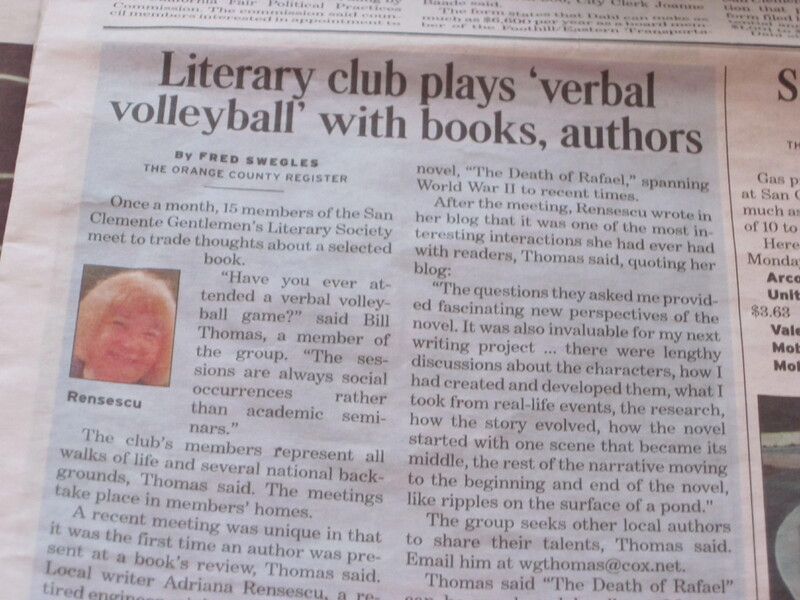 Sounds like books are such unusual things that we have to relate them to things more widely known – like volleyballs. As the New York society matron is said to have said to her wayward son, “I don’t care if you get your name in the paper, just so they spell it right”. Sigh. “Gentlemen’s Literary Society”? I infer that the Society has been around for quite a while. And congratulations on the success of the book. I cannot seem to understand how to read the entire article on this website.